This ‘Best Of’ brings together several tracks from each of the band’s four studio releases (‘Experience’, ‘Approach’, ‘Love Remains The Same’ and ‘Stars Aligned’), one new track and also a cover of King Crimson’s ‘21st Century Schizoid Man’. I am unable to comment on whether this is a fair representation of the band’s recorded output as, despite knowing the name, I am totally unfamiliar with any of their work. Hailing from Finland and including brothers Kie (guitar), Mikko (vocals/guitar) and Jonne (bass), the von Hertzens are certainly adept musicians but despite several plays (the CD has a running time of 80 minutes so there is a lot to digest) it is not something I could listen to all the way through on a regular basis. If I’m honest I was expecting to hate it but that is definitely not the case. It is a modern take on the psychedelic arrangements associated with 70s era Hawkwind or 60s era Pink Floyd, at times epic in scope and often characterized by big Focus style multi-layered harmonies. Several of the extended workouts, such as ‘Disciple Of The Sun’ and ‘Kiss As A Wish’, are slightly over-bearing for me, coming across like heavy metal jazz and lacking a defining musical framework. The tempo changes and quirky idiosyncrasies which textures some of the material reminded me of early Genesis and Yes but there are so many styles fighting for room I began to be frustrated, longing for something more direct. I know that many of the magazine’s writers and readers find this to be the genre’s appeal but I found that the disc’s shorter, chorus based songs, such as ‘Thy Will Be Done’ (lifting a main riff directly from the early Rush handbook), had more impact. 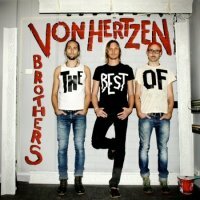 I know it sounds like I am being critical of progressive music in general rather than the von Hertzen CD but for me the Crystal Breed album, reviewed elsewhere in this issue, was far more accessible and had a greater musical dynamic. As a bonus for fans there is a package including a DVD featuring over 30 minutes of promo clips (a couple of these are edited versions of songs that appear on the CD) and 50 minutes of live footage. The live footage, recorded in Helsinki at the back end of 2008, leaves me in no doubt that the guys are excellent musicians but also reinforces most of the issues I raised earlier in the review. With such a short space of time to really listen to all the music that comes my way every couple of months (as well as delving into my collection for older well worn classics) it is difficult to pay respects to anything providing less than an instant fix. 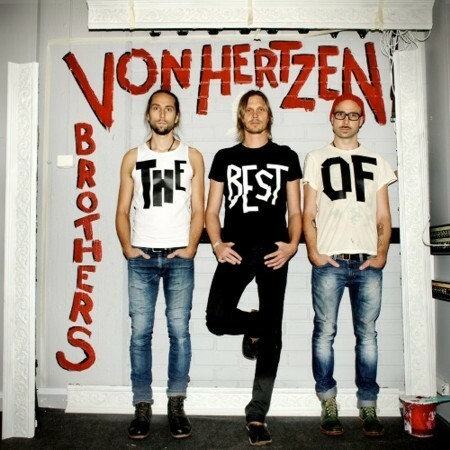 The von Hertzen Bothers ‘Best Of’ will be added to my collection but I can’t say when I’ll be playing it again. Having said that, someone with a greater appreciation of progressive rock music will be head over heals with this disc if they don’t already possess the VHB albums.